What do you say about a beautiful book that touches your soul so much that you feel debriefing and reviewing it takes away the magic? 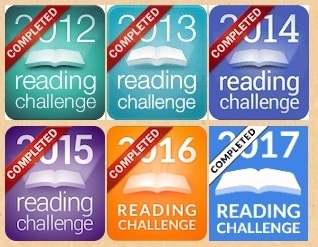 I have finished books I adored and rushed to review, eager to share all the emotions and brilliance and get it out before it consumed me. With Alaska, I took a lot of pleasure just sitting and thinking about this book once I had finished. I could not find the words to explain each wonderful aspect of it that moved me, or made me think about life, and this emotion was why it has been so hard to put this book into words. I have a page of notes that I wrote whilst I read, but they will hardly do it justice. So before we get into it talking about why you should read it, I will simply insist that you must. 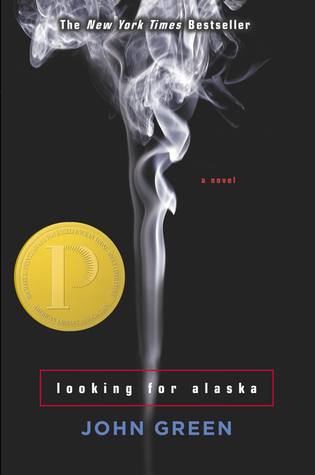 I finished Looking For Alaska in four hours, I also finished one day ago, yet I can still see it so clearly in my mind, feel the characters, and feel the power and impact that friendship, fitting in, and being yourself can have on a single person and an entire community. This is Looking for Alaska. Written in 2005 this is John Green’s debut novel. I know The Fault in the Stars is the current big deal, but I do not want his early works being forgotten either. Every sentence almost is deep and profound, even when it probably isn’t meaning to be. John Green has a way with words that makes the simplest and most innocent things have so much significance. There is a kind of poetry with the similes John uses that make your mind boggle, and there are discussions and references to literature which are masterful and jovial at the same time. John writes this book for teenagers but he does not treat them as children, and he does not underestimate their ability to think critically, or to appreciate the grandest and simplest aspects of life. The story begins with Miles, and Miles is a normal teenage. The problem for Miles is he needs an escape. He has no friends, a dull life, and a desire inspired by poet Francois Rabelais to search for his own Great Perhaps. Miles leaves behind his ordinary and noneventful life and enters into the world of boarding school and into a chaotic exhilaration; though despite his desire for a fresh start, there is no instant change as Miles is still trying to find his place in the world. I think that by watching Miles adjust, and ponder the workings of himself and those around him that we get some wonderful insights; not only about school and the kinds of people are and pretend to be, but also about Miles, and by association, about ourselves. The entire book has Miles trying to figure out who he is and what it all means, but with friends like the Colonel, and the utterly fascinating Alaska, Miles becomes Pudge, his life becomes an adventure of risk, new experiences, and relationships he never could have imagined. He takes responsibility and changes his own life for himself, but there is always a part of the old Miles lingering, something I think is very true of a lot of people. Change can be as different on the outside, but left alone with your thoughts you can be a completely different person on the inside. Something I think John has demonstrated wonderfully. What I do adore is the amount of research that John clearly has put into this book. This was not an overnight thing, he worked on this for years and it shows, in every tiny detail and reference. From Melville’s white whale, to the Labyrinth, to the classroom discussions on religion, to the intricate details of the boarding school grounds; John has put thought and planning into this marvellous story and there is a true sense of respect for the reader. He offers you secrets and the way he has told this story you are actually ok if they are not exactly answered, not everything needs a conclusion. This book was under threat of being banned in a school in America, luckily the fight to allow it won because I just cannot imagine people being forbidden to read this book. You can learn so much about yourself, even if you are past your schooling years, it will not matter; there are parts of Pudge, parts of Miles, parts of Alaska and parts of everyone else in this book in all of us I assure you. A small part of me feels this review is not doing this book the justice I feel it deserves, there is just so much taken from this than cannot be explained in a review. If it is not Pudge and his affection for famous last words; if it isn’t Alaska’s extremeness, fierce loyalty, and personal library; if it isn’t the Colonel’s antics and friendship; and if it isn’t the simple fact it is a story about a group of teenagers just trying to find their way in the world, then I do not know what it is. I will say that I hope, like me, that once you have finished this book and you sit back and reflect on it you will love it a little bit more each time. I know initial feelings and emotions of books fade, but then there are those books where they don’t. This is one of those books.